In addition to being voted “Best Bank in Morgantown” by the readers of Morgantown magazine, Clear Mountain Bank was recently featured in Morgantown magazine as one of Morgantown’s best employers. The magazine highlighted the bank’s various employee benefits, low employee turnover rate, and the success of the “Clear Mountain Cares” program, as key components to employee satisfaction. The roots of Clear Mountain Bank go back to 19th-century Preston County, although its modern name dates back to a 2005 reorganization. Today the bank offers 13 branch offices from Bruceton Mills to Bridgeport to Oakland, Maryland, with six in Morgantown, three of those in Kroger stores. Paid time off at Clear Mountain Bank starts at 14 days a year and ramps up to 25 days, plus the 10 or so holidays the Federal Reserve Bank observes each year. The bank offers medical, dental and vision insurance as well as health savings accounts. It also offers access to the Teladoc telemedicine service, free to health plan participants and extended to part-time employees as well. The bank provides leave consistent with the Family and Medical Leave Act. Clear Mountain Bank has historically awarded annual holiday bonuses to its employees. It offers a 401(k) retirement savings plan and matches 50 percent of employee contributions up to the first 4 percent of the deferral amount and also offers profit-sharing annually which is contributed to retirement accounts. Employees at Clear Mountain Bank enjoy discounts on a range of banking services. In addition to free checking and checks, with minimum balances waived on checking and savings, employees get free safe deposit boxes. 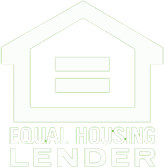 They get discounts on personal loans and discounted closing costs on residential mortgage loans. Clear Mountain Bank’s 8-month “Learn to Lead” program teaches participants how to develop teams and exposes them to the operation of various bank departments through interaction with senior management. The bank also encourages professional development through tuition assistance of up to $2,500 a year to increase skills related to employees’ positions in the bank. One place where Clear Mountain Bank especially shines is corporate citizenship. The bank has a rich history of supporting organizations that improve the quality of life in the communities it serves, from schools and hospitals to youth sports leagues and other charitable causes. Clear Mountain Bank is a locally-owned and managed community bank serving north-central West Virginia and western Maryland through its 13 conveniently-located branch offices. The bank has been building relationships and reinvesting in its local communities for more than 100 years and is proud to offer a comprehensive array of banking services and is a leader in providing electronic banking services, including mobile banking and remote deposit. Additional information of the bank’s products and services is available at www.clearmountainbank.com.